ohn Bright was born in Rochdale in 1811, the son of a Quaker cotton spinner. He was educated at a succession of Quaker schools in the north of England, where he developed a lifelong love of the Bible and of the 17th-century English Puritan poets, especially Milton. Quaker beliefs shaped his politics, which consisted mainly of demands for an end to social, political, or religious inequalities between individuals and between peoples. The Brights were benevolent employers, but their faith in self-help and independence placed Bright at the head of the manufacturers who opposed factory legislation, trade unions, and social reform. While still in his 20s he had led a successful campaign in Rochdale against the payment of compulsory taxes for the Anglican Church. 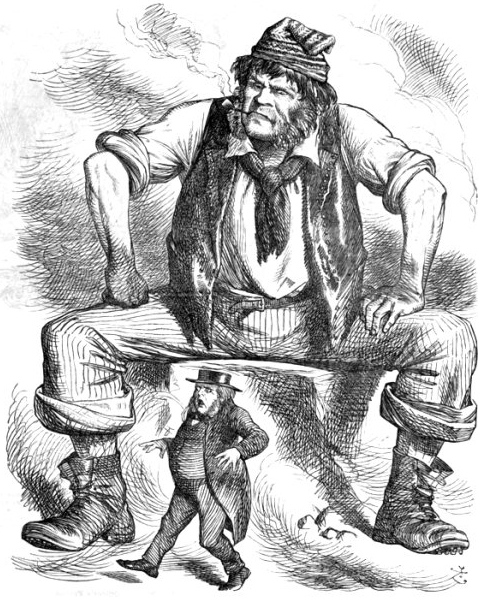 When the Anti-Corn-Law League was formed in 1839 he became one of the leading members and worked closely with Richard Cobden in the campaign for the repeal of the Corn Laws. By 1841 he had emerged as the chief supporting speaker to Cobden. Also in 1839 he had married a fellow Quaker, Elizabeth Priestman; but she died of consumption in September 1841, leaving Bright with one daughter. In 1847 Bright married Margaret Elizabeth Leatham, another Quaker. She took an interest in politics, though Bright did little to encourage this. Four sons and three daughters were born to the Brights, their father adopting a typical Victorian patriarchal attitude, affectionate but dominating. As he grew older, Bright even came to look like an Old Testament patriarch, his striking appearance adding to the effect of his oratory. 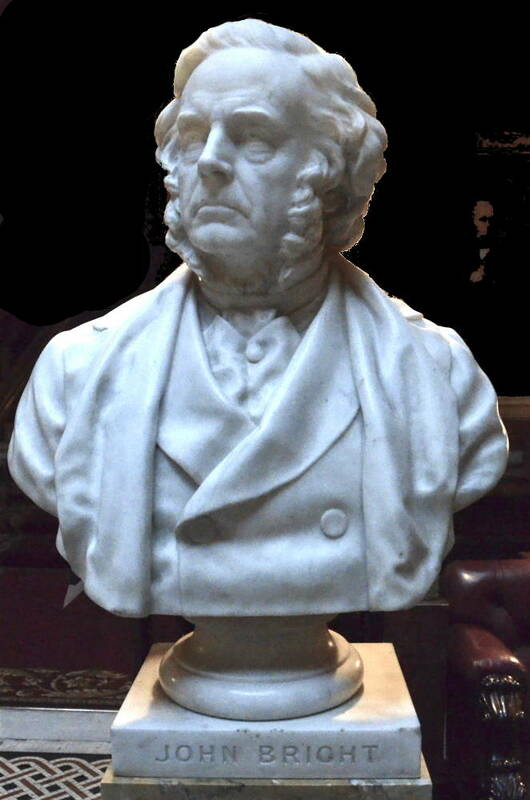 He became MP for Durham in 1843 and for Manchester in 1847. 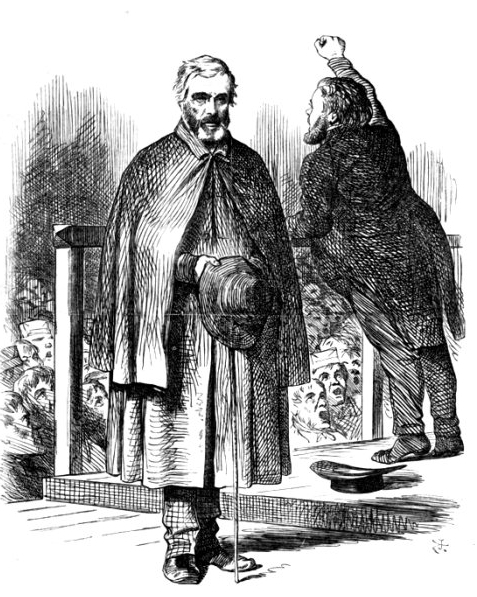 He spoke against the Corn Laws in parliament during Peel's second ministry until the laws were repealed in 1846. For five years, Cobden and Bright spoke frequently together from platforms throughout the country. 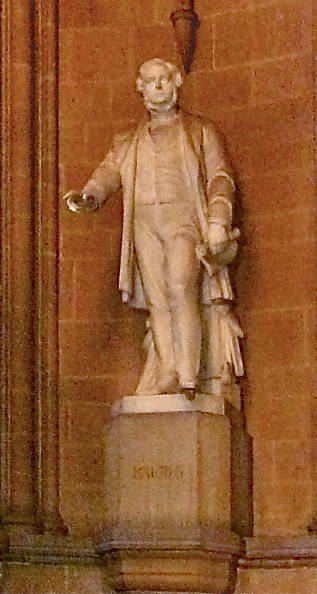 Cobden's speeches provided persuasive arguments; Bright concentrated upon denouncing the privileged political position of the agricultural landlords, which had enabled them to use parliament to pass the Corn Laws. Although Cobden had taught Bright the high moral and economic case for free trade, Bright tended to speak on behalf of the manufacturers and mill hands who, he said, shared a common interest in overturning the Corn Laws. Bright was a member of the Peace Society and denounced the Crimean War (1854-56) as un-Christian, contrary to the principles of international free trade, and harmful to British interests. "The Angel of Death," he said, "has been abroad throughout the land; you may almost hear the beating of his wings." 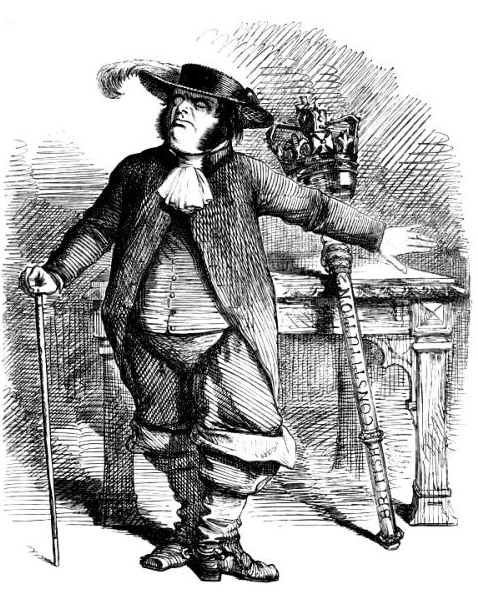 He blamed Lord Palmerston and the aristocracy for deluding the British people. He said that British foreign policy and the expensive network of diplomatic appointments constituted "a gigantic system of outdoor relief for the aristocracy." 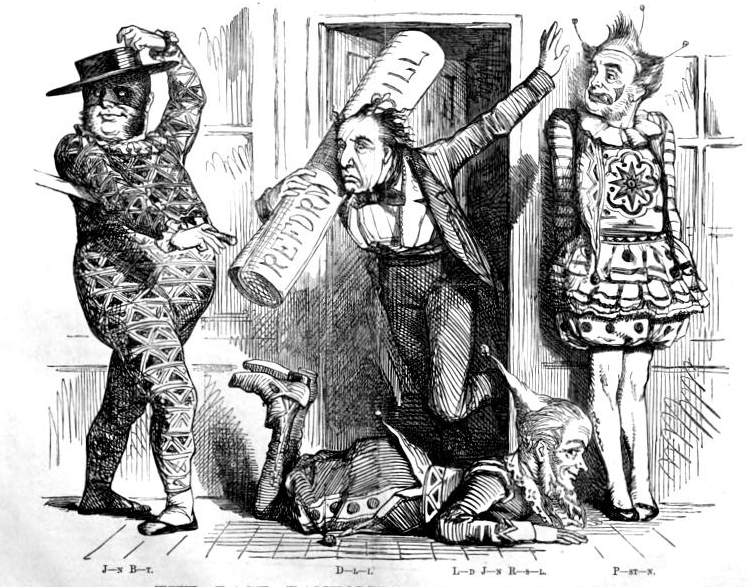 Frustrated at his failure to stop the war, Bright suffered a severe nervous breakdown (1856-58). His anti-war views also helped to lose him his Manchester seat in 1857, but within a few months he was elected as an MP for Birmingham, which he was to represent for the rest of his life. 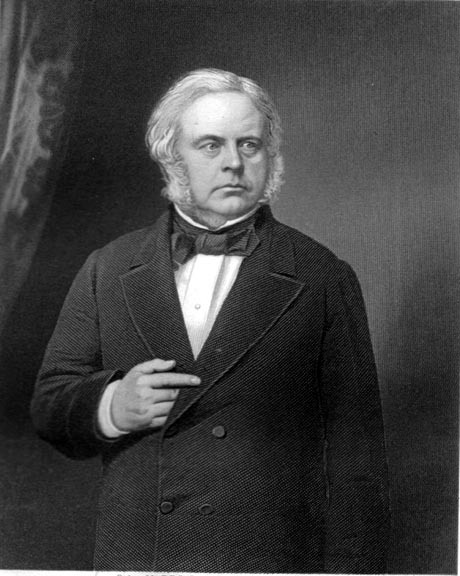 He seconded the motion against the Conspiracy Bill that led to the fall of Palmerston's government. Bright pressed for less-authoritarian British rule in India both before and after the Indian Mutiny (1857) and strongly supported the Union against the slave-owning Confederacy during the American Civil War (1861-65). 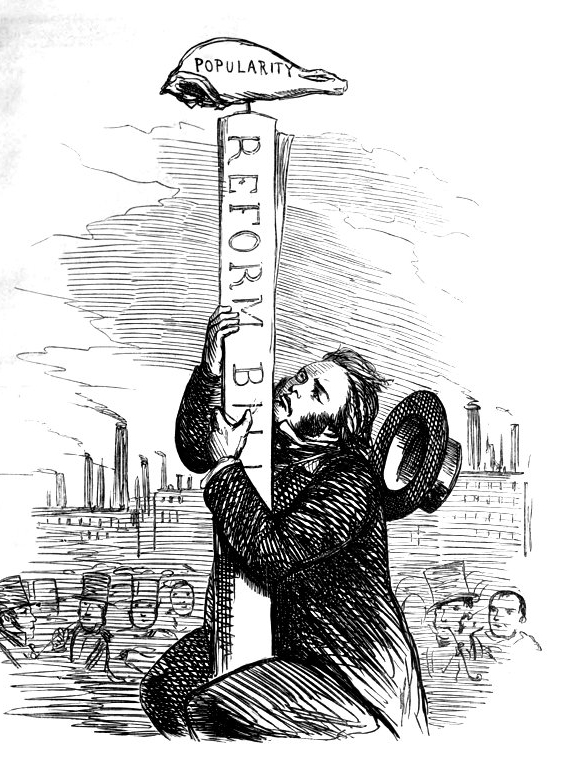 Bright launched a speech-making campaign for parliamentary reform in Birmingham at the end of 1858 which faded out within a few months, but it marked the beginning of the movement toward the reform agitation of the mid-1860s. 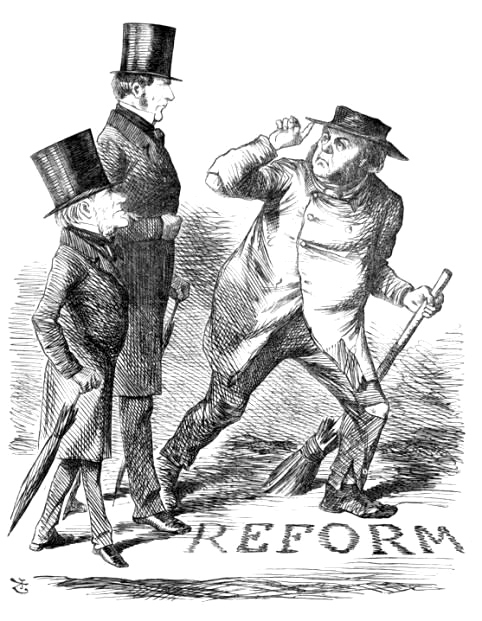 During the second half of 1866 Bright found himself the hero and chief mouthpiece of the reformers, accepted by both those who demanded universal suffrage and those who wanted more limited reform. In terms of immediate influence this was the high point of his career. 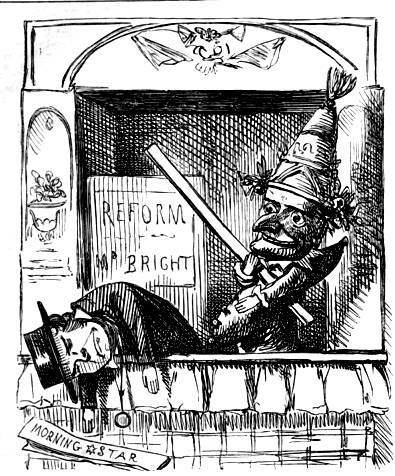 Bright was satisfied with the household franchise introduced by the 1867 Reform Act, which extended the vote to skilled urban artisans but still excluded the town and country labourers. The artisans' intelligence and independence impressed him and he recommended every man who wanted the vote to acquire these qualities. Bright's old-age recollections, which form the basis of the history of the ACLL, tend to be unconsciously self-inflating, sacrificing accuracy for effect. 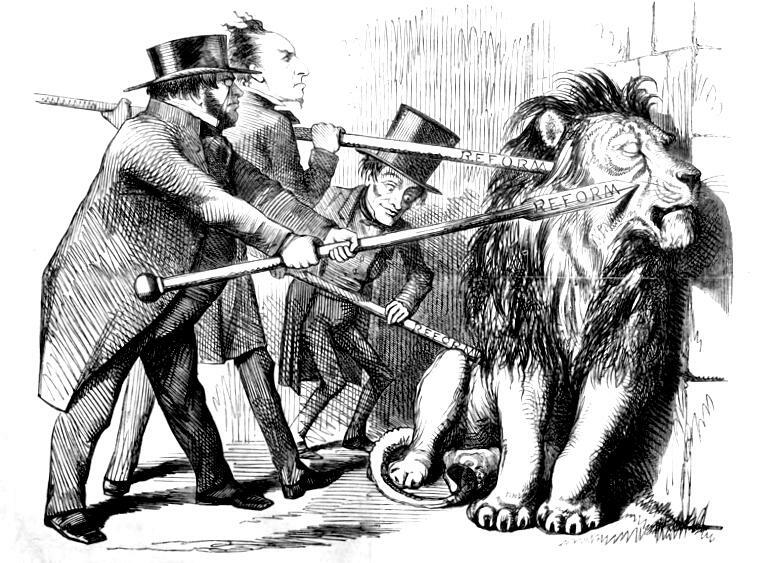 He deeply disliked being opposed, even by Cobden. This was an unfortunate product of his sensitive nature, and he often expressed his disappointment with a brusqueness that hurt the feelings of others. Bright was greatly admired and venerated in old age, but historians subsequently tended toward a more critical view of his personality and achievement. Bright died in 1889.